When you finally make the decision to purchase a new vehicle, it's tempting to immediately jump behind the steering wheel and start test-driving candidates. The excitement of it all will do that to anyone, and if you already know what you want, then that’s certainly the next step. But if you're on the fence about one or more cars, or not sure what kind of car is best for you, then you need to slow down, take a look around, and really consider what you need. First, decide if you're going to buy new, used or the in-between category of "certified pre-owned," which is basically a used vehicle with an extended factory warranty. The most important difference between the three is price. Used cars are usually cheaper, save for a few niche classics, and you can find some great deals in the second-hand market, but they rarely come with a warranty. You also run the risk of having headaches in the future if the vehicle hasn’t been maintained properly. Keep your eyes and ears open when shopping around for a used car, and if something doesn't seem right with the vehicle or purchasing situation, it's safer to walk away and look for other opportunities. It is, after all, a huge market. If you do decide to go down this route, always request a mechanic’s inspection before you purchase to ensure you avoid any unwanted surprises down the line. Most importantly, understand that buying a used car will take considerably longer than buying new. Once you suspect you’ll need to change your vehicle in the near future, start looking! The right car will come along, but it’ll take time to find the one that’s right for you. Waiting until you need a car means you might end up compromising on a few key factors. A new car will inevitably cost more for a given class of vehicle, and, regardless of the manufacturer and model, you'll take a hit on depreciation as soon as you drive away with it. However, you also get a new car warranty and the peace of mind that a previous owner hasn't abused the car. You’ll also have access to the latest technology and safety features when you opt for a new car. Sure, some bells and whistles can be added post-purchase, but many are integrated within the vehicle’s more complex machinery and are exclusive to new models. Additionally, you’re much more likely to have access to the exact specs you want when you purchase a new car. Finding the perfect combination of options and engine type is rare when searching the used car market. A new category that has become increasingly popular in the last decade is the certified pre-owned car. These are basically refurbished and inspected used cars sold at new-car dealerships. They come with an extended warranty and are usually lower-mileage examples. Dealers may also include additional services such as roadside assistance with the purchase as well. Certified used car programs are a byproduct of the dramatic increase in car leases major manufacturers saw in the ‘90s, which left dealerships with plenty of low-mileage, well maintained cars. By certifying these lease returns and reselling them, manufacturers are able to retain a relatively high asking price. 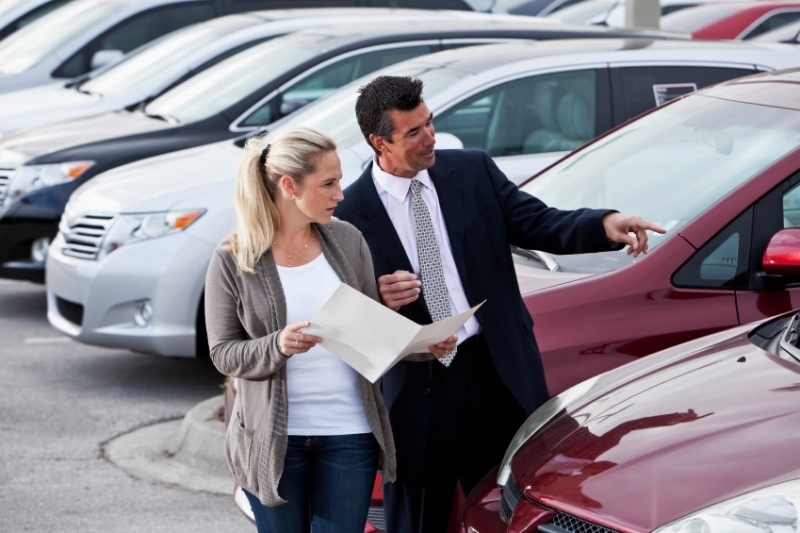 Manufacturers use dealers to inspect trade-in models and lease returns and from there make a decision as to whether the car is worth backing as a certified used car. The inspection criteria vary for each brand and typically number over 100 "inspection points" or more, though the number of "inspection points" a vehicle passes isn't as important as which critical systems are checked and which are overlooked. There is actually no legal definition of a certified used car, and therefore consumers need to have a good understanding of what a dealer's certified program entails. Luckily, dealers have little incentive to make the necessary repairs to bring vehicles in sub-standard condition up to grade, so consumers can expect certified used cars to have had few mechanical issues in the past. The upside of a certified used vehicle is that you get a price closer to a used car (albeit with a small premium thanks to the warranty), but with most of the benefits of a new car - the most important being dealer-backed maintenance. The downside is that you may be missing out on the latest and greatest features on a new car, and obviously there will be a few thousand miles on the odometer from day one. Either way you go, we have two pieces of advice for you: trust your gut and stick to your budget! It’s easy to get carried away when car shopping. Stay true to your original intentions, and you’ll get the vehicle that’s right for you.